Following the Thailand GP held two Sundays back which saw Dovizioso take the flag as runner-up, the Ducati Team has now arrived at Motegi for the Grand Prix of Japan, the sixteenth round of the 19-race 2018 MotoGP season and the second leg in a challenging series of four overseas rounds, which will continue the following weekends with races in Australia and Malaysia. The Twin Ring Motegi circuit has an unusual layout with a series of long straights followed by tight corners that prove to be demanding on the bikes’ braking and acceleration prowess. 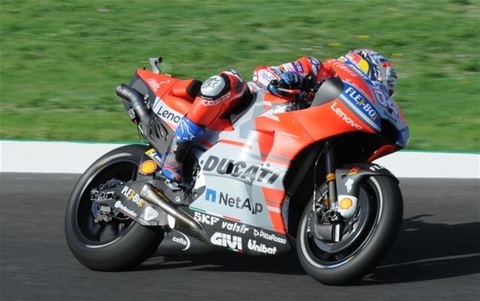 In recent years the Japanese track has been favourable to Ducati Team riders, who have scored some excellent results, with three successive wins for Loris Capirossi in 2005, 2006 and 2007 and a win in 2010 for Casey Stoner, who also took the world title with Ducati here in 2007. The excellent results for the Bologna-based squad have resumed in the last two years, with a second place for Dovizioso in 2016 and his superb win last year after an exciting battle with Marquez right down to the final corner. Jorge Lorenzo can also boast an extraordinary record at Motegi in MotoGP, with four pole positions and three victories to his name. Last year the Palma de Mallorca racer qualified on row 2 and finished the race in sixth place. The Motegi weekend programme will get underway on Friday morning with the first free practice session at 9.55 am local time (2.55 CET), while the 24-lap race is scheduled for Sunday afternoon at 2 pm (7.00 CET). Located in a mountainous area, the Twin Ring Motegi circuit consists of a 2.5 km banked oval and a classic 4.8 km road course built to international standards. Constructed by Honda as a test facility in August 1997, the road circuit became home to MotoGP in 1999. Twin Ring Motegi, which is around 100 km from Tokyo’s Narita airport and 30 km from Mito, is the venue for the Honda Museum, as well as a safety and riding school, dirt-track and go-kart tracks, a hotel, a restaurant, shops and event halls.